While this month marks the two-year anniversary of the premiere of the Cruiserweight Classic, the division that the tournament spawned is still one of the most puzzling parts of WWE programming. From a rough start, to it becoming the Enzo Amore show, to it being rebooted when Paul "Triple H" Levesque took over as showrunner, 205 Live has been constantly changing and never able to fully find its footing since it debuted in November 2016. 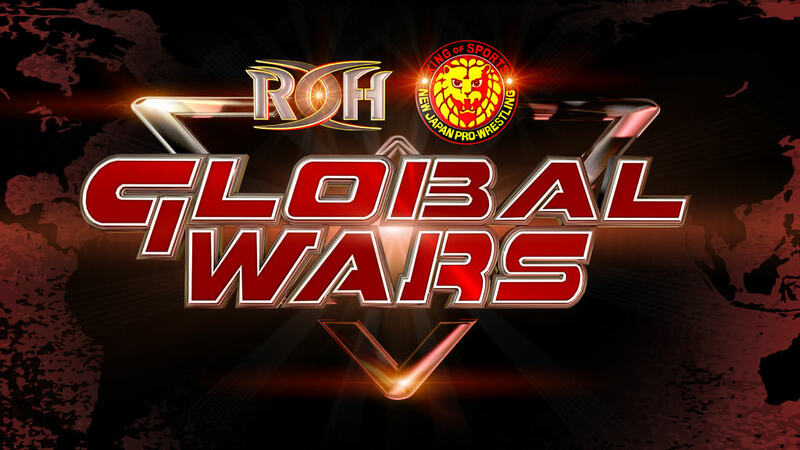 A look at the ROH/NJPW planned show in Madison Square Garden and the huge ramifications this show could have on the industry is the lead story of a big double-issue of the Observer. The lead story goes into how ROH/NJPW got the date back after WWE blocked it, why those at Sinclair were always confident they would be able to run the date and their big ace on why they have leverage on WWE. Find out who was announced, who wasn't and why, as well as ticket prices, and what significant milestone this show can reach that no non-WWE show in history ever has. Read what happened backstage with Hulk Hogan, talent reactions to Kofi Kingston and Titus O'Neil, what the problems were in how this was handled and the real issues involved. .
Look at the hilarious irony of the new UFC business deal in Russia. This issue has full coverage of the Extreme Rules show, a look at the upcoming SummerSlam show, a look at the issues with the crowd, plus match-by-match coverage with star ratings and poll results. Also look at yet another rise in WWE stock and why, predictions on WWE future profits, Daniel Bryan talks his future and contract situation, Bryan talks about his in-ring style change, update on Vince McMahon, Dwayne Johnson's latest movie, Bret Hart and Martha Hart argue over Owen Hart, Owen Hart honored this week, and Rousey TV appearance. Read how a recent FCC ruling affects the growth of ROH. Also look at the upcoming Bellator welterweight tournament, a look at the participants, schedule and championship plans. 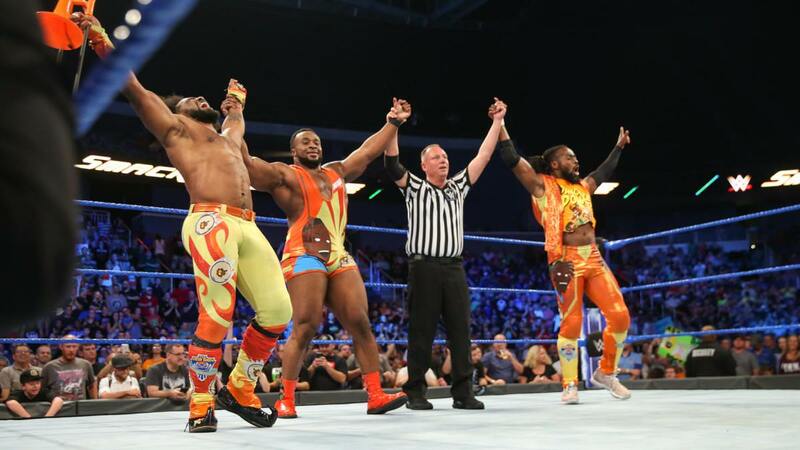 The New Day defeated SAnitY on SmackDown last night to advance in the show’s tag team tournament. Cesaro & Sheamus vs. The Usos will take place next Tuesday, with the winners facing New Day the following week. Whoever wins that will challenge for The Bludgeon Brothers’ SmackDown Tag Team titles at SummerSlam. On this week’s 205 Live, Drew Gulak defeated Mustafa Ali, TJP, and Hideo Itami in a fatal four-way number one contender’s match for a future shot at Cedric Alexander’s Cruiserweight Championship. Triple H spoke to SKy Sports about WWE’s Evolution PPV and was asked about the concept becoming a mainstay: “It's a question to be answered down the road. Do we need to have a women's only event? No -- just like we don't need a men's only event or anything else. I think that the opportunity is there whoever is the best, the most prominent box office attraction that is the main event. It doesn't matter if that's Raw, Smackdown, NXT, Wrestlemania. So can they have their own event? Can it be a mainstay? Yes, and if our fans want it and it's the right thing then we'll give it to them. The WWE universe will dictate to us what the approach is." TMZ reported that Nikki Bella has started shopping for a home of her own in San Diego after having lived at John Cena’s house in the area. The WWE Network has added Coliseum Home Videos on British Bulldog Davey Boy Smith, George the Animal Steele, Hacksaw Jim Duggan, Bret Hart, Jake Roberts, The Hart Foundation, Ken Patera, Macho Man and Ms. Elizabeth, Bruno Sammartino, and Captain Lou Albano, along with two on Hulk Hogan. The Poffo family is featured on this week’s additions to the WWE Network’s hidden gems section. The matches that have been added are: Angelo Poffo vs. Pat Patterson (Championship Wrestling from Florida, 1977), Randy Savage & Magnum TA vs. The Mongolians (Georgia Championship Wrestling, 1983), Lanny Poffo vs. Nick Bockwinkel (Pro Wrestling USA, 1984). Today is Finn Balor’s 37th birthday. AJ Styles, Daniel Bryan & Jeff Hardy defeated Shinsuke Nakamura, Cesaro & Sheamus in last night’s post-SmackDown and 205 Live dark match. Naomi also defeated Sonya Deville before SmackDown went on the air. Ric Flair is the focus of the collector’s edition of WWE 2K19. Mickie James made an appearance and performed on WTVR TV in Virginia this morning. Sky Cinema has released the trailer for “Final Score,” which stars Dave Bautista. AdWeek ranked Vince McMahon 70th on their list of the 100 most cutting-edge CEOs in marketing, media, branding, and tech. Dana White was ranked 72nd. Ultimate Beastmaster: Survival of the Fittest, which includes CM Punk and Stu Bennett (the former Wade Barrett) among the many hosts/commentators for the reality-competition series, will premiere to Netflix on August 31. OTT released a great hype video for WALTER vs. Jordan Devlin at WrestleRama 2 on August 18. MJF (Maxwell Jacob Friedman) posted that he’s out for 2-6 weeks with a small tear in his lateral meniscus and a tear in his LCL. EVOLVE put out a video hyping Tracy Williams vs. Chris Dickinson & Stokely Hathaway in an I Quit match at EVOLVE 111 in Livonia, Michigan on August 12. Williams and Hathaway’s EVOLVE careers are on the line in the match. Williams & TK Cooper will also challenge for Dickinson & Jaka’s Tag Team titles at EVOLVE 108 in Philadelphia, Pennsylvania on August 4. Dickinson will face Teddy Hart at Joey Janela’s Lost in New York on August 17. With reports of him nearing a plea deal, Conor McGregor will be back in court in Brooklyn tomorrow following his bus attack at UFC 223 media day. The reported deal would allow McGregor to avoid jail time and still come to the United States. Potentially ending his hopes of fighting in the UFC, Nick Newell lost a unanimous decision to Alex Munoz on Dana White’s Tuesday Night Contender Series. Newell has overcome only having one hand and is 14-2 in his career. Daniel Cormier got a celebratory welcome when returning to Fox Sports after winning the UFC heavyweight championship. Welterweight champion Tyron Woodley has opened as a slight favorite over Darren Till in their UFC 228 fight. Alexander Gustafsson expressed his frustration over not being able to compete at UFC 227 due to injury. Greetings friends and fans of the F4W / Wrestling Observer website. It's time to announce the details of the 12th annual F4W / Wrestling Observer Empire Las Vegas Convention~! This year will also feature a Future Stars Wrestling show which will include the first ever Granny's Doubles Match Classic! Already booked for the show are the teams Mia Yim & Leva Bates, Shotzi Blackheart & ?? ?, Samantha Heights & Brittany Blake, and Miranda Alize & Kylie Rae. Also appearing will be Kris Wolf along with many more future stars. There may even be a classic star or two making an appearance. You won't want to miss this show! Check out the convention's Facebook page for all additional information.